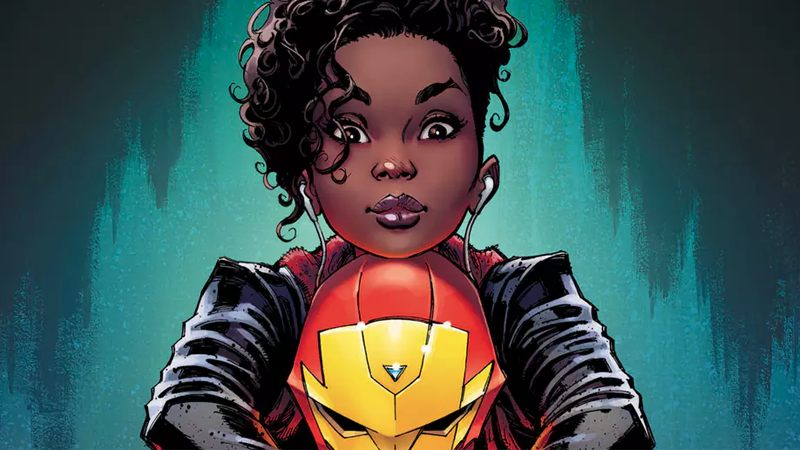 Last month, Marvel Comics came under fire for a variant cover for the debut issue of Riri Williams in Invicible Iron Man by J. Scott Campbell, one decried for heavily sexualizing the 15-year-old hero. The company rapidly pulled the cover from solicits with no replacement—but Campbell drew a new cover that will now take its place. Initially, Campbell’s reaction to the furore about his variant cover for Midtown Comics was one of dismissal—but last week, the artist shared a new sketch of Riri on social media he titled “Riri Redux,” depicting the young girl working on her Ironheart armor rather than posing like she’s the subject of pin-up art. It’s a gorgeous cover that’s much more befitting of the character—and it’s great to see this story surrounding this cover have a happy ending. Campbell’s Invincible Iron Man #2 cover will be available from Midtown Comics next month, but you can pre-order both colored and black-and-white versions from their site right now.